New Belgium’s Hemperor hemp beer is on tap now. Except in Kansas. Beer aficionados and hemp advocates across the country can now toast a pint of New Belgium’s Hemperor HPA. Except in Kansas, where the craft brew — like hemp — is banned. The “hemp pale ale” three years in development blends hemp and hops for an earthy take on the traditional India Pale Ale. It’s available now on draft and will be released nationwide in bottles in late May. Hemp as a beer ingredient remains largely taboo, as federal guidelines restrict certain parts of the cannabis plant from being used as an ingredient in beer. The Alcohol and Tobacco Tax and Trade Bureau, the government’s gatekeeper for beer labels and formulations, has final say on any brew that wands to add hemp or its byproducts. But Colorado-based New Belgium found a work-around: The Hemperor adds hemp hearts, part of the plant legalized by the 2014 Farm Bill, and is brewed with a proprietary process utilizing compounds from other materials that emulate the aromatic terpenes found in hemp. The formulation passed the TTB’s test, but the Hemperor’s realm won’t include include Kansas anytime soon. 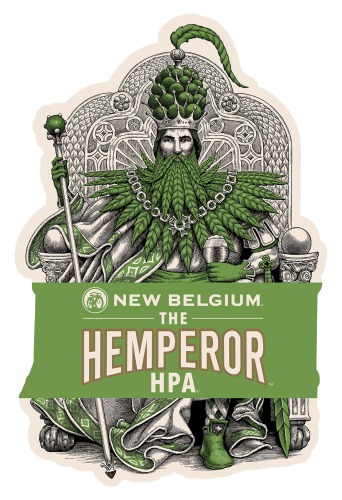 Kansas aside, The Hemperor’s coronation has been relatively smooth compared to the roll out of other beers incorporating components of the cannabis plant. Take the case of Dad & Dude’s Breweria in Aurora, Colo. The brewpub received TTB approval for a beer featuring hemp-derived, CBD-rich extract in June 2016. But the family-run operation’s grand plans for its General Washington’s Secret Stash came to a screeching halt six months later, when the DEA filed the notice for an impending rule maintaining marijuana, hemp and their derivatives as Schedule I substances. The TTB deferred to the DEA and revoked its decision on Dad & Dude’s. The brewpub’s saga was included in the Hemp Industries Association’s challenge of that DEA rule. The 9th U.S. Circuit Court of Appeals in San Francisco heard oral arguments in the case in February, and the fate of the federal rule now rests in the hands of a three-judge panel. 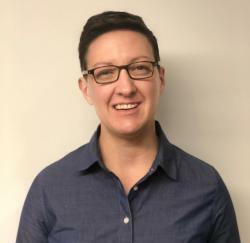 “Given the evolution of laws and the broadening of the definition of industrial hemp since then, it would follow logically then that TTB’s policy, too, should evolve accordingly, but is what remains an ongoing issue today,” said attorney Ryan Malkin, who specializes in alcohol and cannabis issues for the Hoban Law Group, the Denver-based firm representing the hemp industry in its case against the DEA. A number of breweries have contacted Hoban Law to inquire whether they’d be able to legally make a beer using cannabis or its byproducts, according to the firm. And that’s not just craft operations. Large-scale brewers have also shown interest in making beers with marijuana or hemp byproducts, such as cannabinoids and terpenes, Malkin said via email. It’s a natural pairing given the similarities between hops and cannabis with respect to flavor and aroma profiles, he said. “Some brewers have even submitted formulation and label applications to the TTB,” he said. The Hemperor was conceived over a beer tour. A couple of plant genetics researchers from Colorado State University were visiting New Belgium’s Fort Collins, Colo., taproom and started chatting up the staff at their hometown brewery. The university is one of several research institutions delving into the hemp plant, discovering its potential in agriculture and industry, a result of Colorado’s 2013 industrial hemp program and the enactment of the Farm Bill. As the academics took in the smells and flavors from the hop-laden beers, they spoke of the unique aromas coming out of hops’ biological cousin, recalled Ross Koenigs, New Belgium’s research and development specialist. He hopped in a car for a whiff of CSU’s hemp greenhouse. New Belgium scoured the state of Colorado’s hemp farms in search of interesting hemp species and a cultivation outfit with enough scale to supply the brewery’s national distribution needs. Koenig found a couple of choice species, brewed up some experiments and then took the formulation to the TTB. The federal agency deferred to to the DEA, which views cannabis flower and leaf as Schedule I substances, and New Belgium’s application was denied. “Basically, what we had to do was find a bit of a work-around,” Koenigs said. That work-around involved looping in some buddies in olfactory technologies and learning to emulate the actions of hemp terpenes without actually utilizing the forbidden parts of the plant. New Belgium is keeping many details of that proprietary process close to its vest, but Koenigs said the Hemperor’s R&D efforts were unlike any beermaking efforts that came before. For instance, the terpene emulation work had to occur off-site, as the federally illicit plant could not be brought onto the brewery’s premises. New Belgium supplemented the hemp hearts — which added a spiciness — with a combination of hops to generate the green, citrusy vibe and the resinous nose. 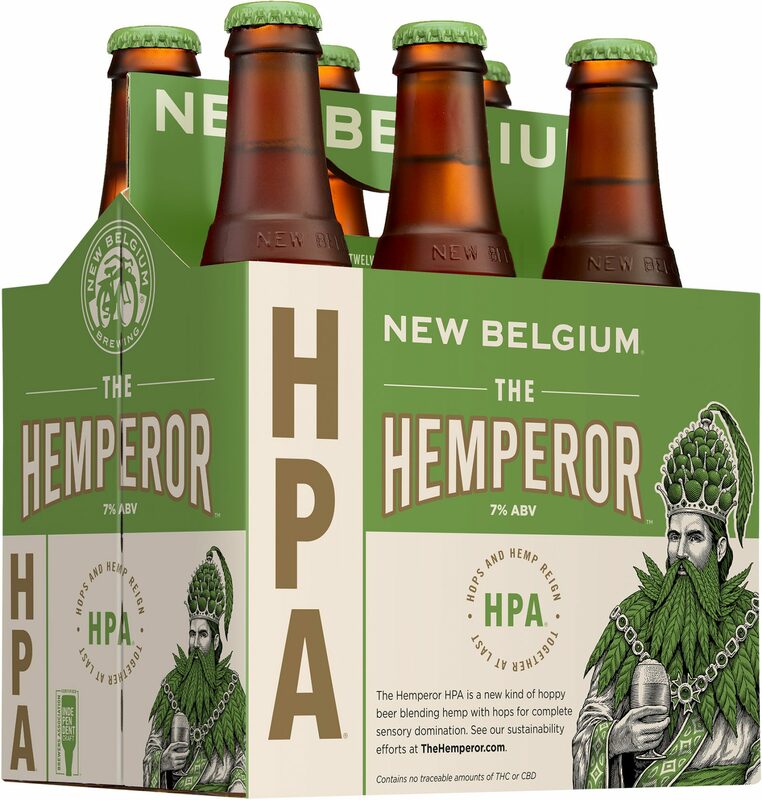 New Belgium did consider adding a “0” to the Hemperor’s April 2 launch, but officials didn’t want to stray too far away from the heart of the issue: using the beer to advocate for the larger cause of hemp. New Belgium partnered with Hemp 4 Victory and GCH Inc. to help lobby for federal legalization of industrial hemp. New Belgium is never one to shy away from a cause, and saw an opportunity to use its standing as a powerhouse in craft beer to bring attention to the cause and virtues of hemp agriculture, along with the need to modernize laws that hinder the plants cultivation and uses, Koenigs said. If those federal laws change — be it via Rep. James Comer’s (R-Ky.) Industrial Hemp Farming Act of 2017, Sen. Mitch McConnell’s (R-Ky.) plans for the Hemp Farming Act of 2018 — more New Belgium hemp beers could be on the way — maybe even in Kansas.